Now she must abandon everything she's ever known - the guardians who raised her, the boy she's forbidden to love - to move to India and convince the world that Amarra is still alive . 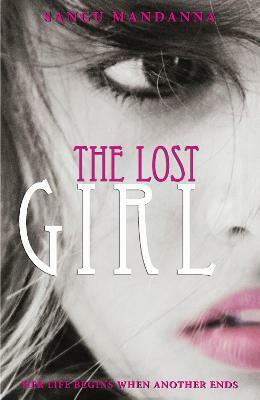 . .
"The Lost Girl just filled me with a jumble of overpowering emotions, all of which touched my heart deeply. It's so beautiful. An overwhelmingly creative story. One that urges people to think, think very hard, and evaluate the value of a human life and how to live it. Debut author Sangu Mandanna has written an emotional, unforgettable tale of one's girl's struggle to just live as herself, to have an identity to call her own and feel how it is to be human, to love and be loved. Sangu Mandanna, you are brilliant!"